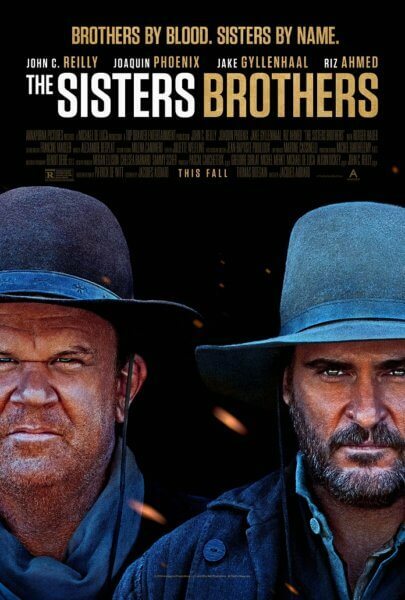 Annapurna Pictures just unveiled the new official poster for The Sisters Brothers, an upcoming Western based on the popular novel of the same name written by Patrick deWitt. The film adaptation’s described as a dark comedy and was directed by Jacques Audiard (Rust and Bone, A Prophet) from a script he co-wrote with Thomas Bidegain. The official poster arrives just days before the film will make its premiere at the Venice Film Festival. After premiering in Venice on September 2, 2018, it will screen as part of the Toronto International Film Festival. Moviegoers will be able to catch it in theaters when it debuts in New York and Los Angeles on September 21st. The Plot: “From acclaimed director Jacques Audiard, and based on the novel by Patrick deWitt, The Sisters Brothers is a reimagining of the cinematic Western as a dangerous, witty, and emotionally cathartic exploration of what it means to be a man.